The community service idea: Leaders in Tucson and Cleveland, respectively, wanted to talk with their neighbors about difficult topics: gentrification and displacement in downtown Tucson, and longstanding racial divisions in Cleveland. Both called on residents’ deep knowledge of their city to help people communicate openly about problems and discuss solutions. How ioby helped: Gentrification Community Conversation’s leaders raised almost $950, and A Bridge that Bridges’ leaders raised over $2,000 on ioby to pay for professional facilitators, flyer printing, art supplies, and other costs of hosting community conversation events. The community service idea: When Binh Dam moved to Atlanta, he quickly saw that many bus stops lacked posted schedule and route information. He got permission from the city’s transit agency, MARTA, to install temporary signs at several stops. His efforts were immediately appreciated and led to the founding of MARTA Army, a grassroots action group that works with the agency to improve the rider experience across the system. How ioby helped: Binh raised over $500 on ioby for the materials needed to print and install his first batch of temporary signs. The community service idea: Anti-litter campaigns often become attacks on people of color and the poor. Bags n’ Blocks doesn’t want to do that. 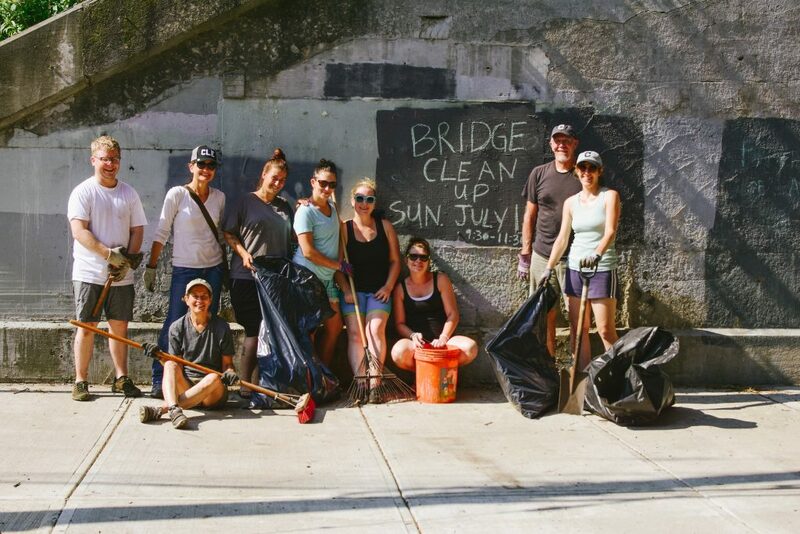 Instead, they create individual litter pickup routines that give neighbors the opportunity to meet each other where they are and form empathetic bonds with everyone who shares their Pittsburgh community—all while spreading the benefits of a cleaner neighborhood. How ioby helped: Bags n’ Blocks’ leaders raised over $3,700 on ioby to buy litter grabbers, trash cans, rubber gloves, and other litter clean-up supplies for scores of volunteer neighbors. The community service idea: For people dealing with houselessness, getting help can be difficult and degrading. Cleveland’s Walls of Love was created by a formerly houseless resident to collect and distribute warm weather gear and toiletries to those who need them. Volunteers put the items in plastic bags, then secure them to a fence—creating a “wall of love” that community members can choose from as they need. How ioby helped: Walls of Love founder Holly J. raised $1,700 on ioby to buy thousands of winter clothing essentials and hygiene items, and the bags, zip ties, and signs needed to affix them to area fences. The community service idea: Crash Detroit is a free, annual, two-day summer music festival founded in 2014. 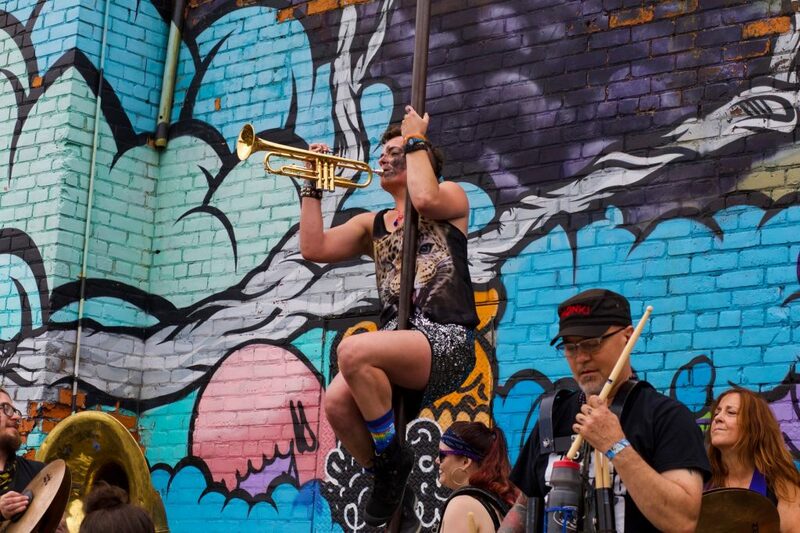 It invites street bands from across the country to perform in public spaces and businesses through the city, adding surprise and delight to residents’ days. How ioby helped: Crash Detroit 2018’s leaders raised over $1,900 on ioby to pay for portable restrooms, signage, documentation, and other event costs. The community service idea: Time banks offer neighbors a way to “bank” their time and expertise to help each other get things done—without exchanging money. Spend one hour doing something for someone in your community; earn one “time dollar” for your bank account; spend your time dollar having someone do something for you; repeat! How ioby helped: The leaders of this Michigan time bank raised nearly $3,000 on ioby to fund staff time for planning events, matching members’ needs with other members’ skills, and conducting community outreach, among other efforts. Video: How to Start a Time Bank Where You Live! The community service idea: The underpass of Cleveland’s Lake Road Railroad Bridge is a major link to Edgewater Park—but years of neglect gave it a grimy look that discouraged pedestrians and bicyclists from using it. 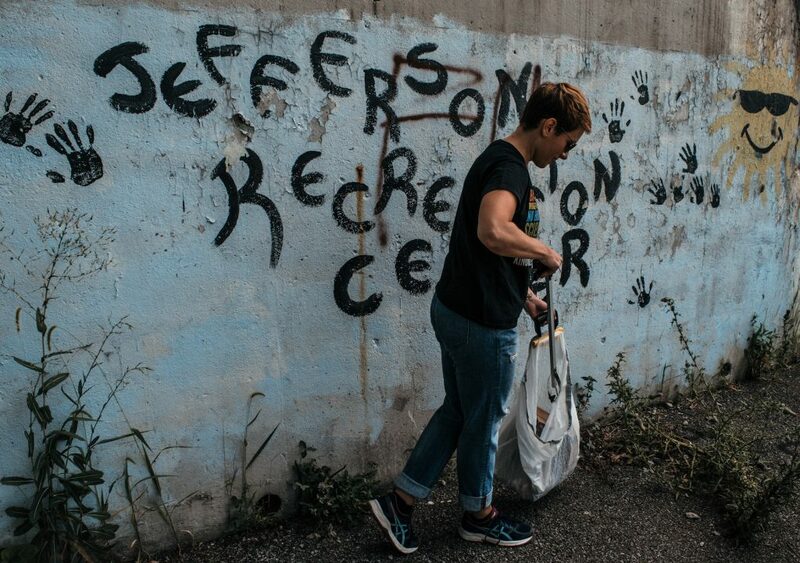 Local leaders decided to beautify the area and invite more usage by clearing trash from the underpass, power washing its walls, and painting a mural where its big blank concrete expanse used to be. How ioby helped: Project leaders raised over $5,700 on ioby to rent a power washer, buy painting supplies, and supply snacks and food to volunteers, among the other costs of preparing and installing the mural. The community service idea: Phone banking makes it easy for residents to voice their concerns about neighborhood issues by establishing regular meetings where neighbors can socialize, make calls to 311, and track responses from the city over time. Memphis leader Michalyn Easter set up her phone banking group in three weeks. Within the first few months, they reported a 98 percent success rate of responsive action by the city. How ioby helped: Michalyn raised over $1,700 on ioby for her project Friends of Chelsea Greenline Advocacy Group. But the phone bank is an almost no-cost effort: 311 is free to use, and her group meets in community spaces like libraries that don’t charge a fee. If group members can take turns supplying a box of donuts or bags of chips at the monthly meet-ups, that’s more icing on the cake. The community service idea: Physical mobility is a building block of economic mobility. Many recent immigrants to the US, especially refugees, face life in car-centric cities where no no car means lost opportunities. 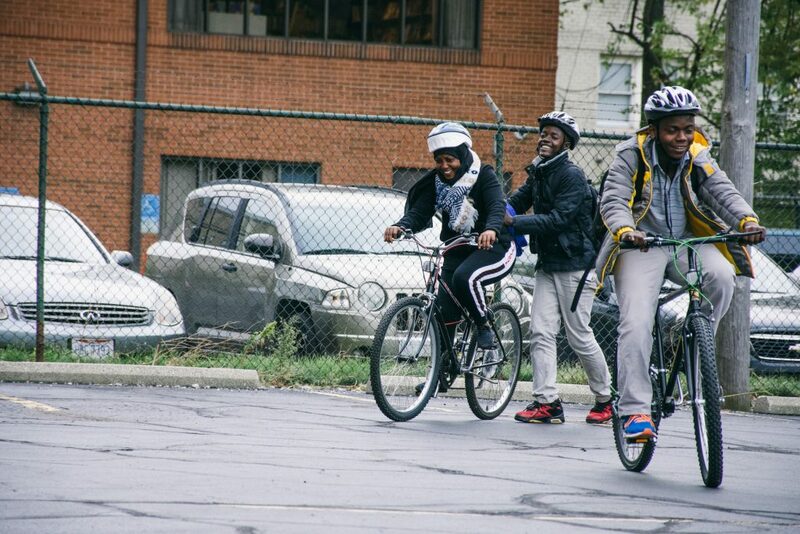 Ohio resident Tim Kovach started a project to help newly settling refugees take a bicycling safety course and get their own bike and cycling accessories so they can get on the road to the next chapter of their lives. How ioby helped: Tim raised over $13,500 on ioby to buy locks, helmets, and refurbished bikes for 100 refugees, as well as pay other costs of running the program. The community service idea: Every day, speeding cars needlessly endanger kids’ lives as they walk to school. In her years as a crossing guard in Cleveland’s Buckeye-Shaker neighborhood, Lucille White witnessed far too many close calls—and helped save innumerable children from injury or death at the hands of careless drivers. Finally, Lucille decided to ask her neighbors for help, and organized a meeting with local students, parents, and council people to discuss and implement solutions to this troubling problem. How ioby helped: Lucille raised over $800 on ioby for traffic cones, roll-out speed bumps, sidewalk chalk, and other tools to improve street safety in her neighborhood the DIY way. Itching to enact your own community service idea? 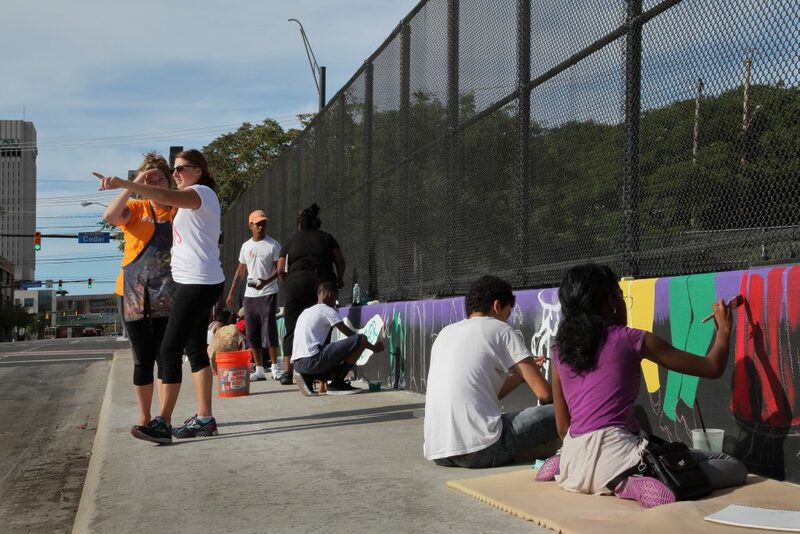 Tell us your fun and creative way to make positive change in your neighborhood! We can help you get it off the ground.